In the "Food for Thought" series, CoxHealth dietitians and graduate students in the Cox College Nutrition Diagnostics master's program share information about food, and what's good for you. 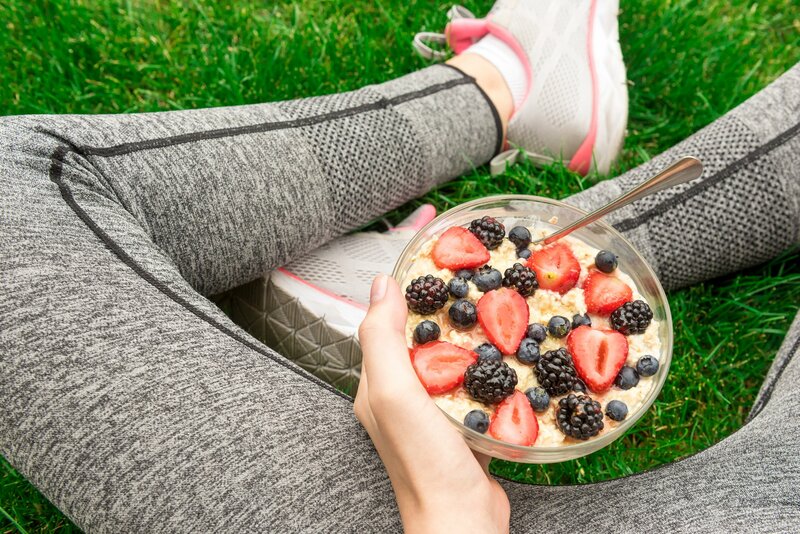 In recent years, it seems that more and more people are looking into popular restrictive diets to grant themselves benefits such as weight loss, health advantages, and lifestyle simplification. Intermittent fasting (IF) is one among the many popular health trends in the nation that claims to satisfy these very benefits. Is IF really something that can live up to these claims or is it just another fad diet? IF is unique in that is an eating pattern that has some restrictive diet qualities. It mostly focuses on the principle of prolonged amounts of time in between meals and not on limiting food variety. The human body has several natural processes to cope with these longer time periods without foods. Just think about our hunter gatherer ancestors: Their total daily intake varied by what they found, it didn’t consist of a typical three to four meals every day. IF consists of several different ways to split up the day/week into eating and fasting periods. It is intended that you would eat nothing or very little (for instance 500-600 calories in the 5:2 method) during the fasting periods. A few popular forms of the IF are listed below. All variations are intended to achieve health benefits, no methods are proven to be more effective or have more of a risk at this time. 16/8 method: This involves fasting periods for 16 hours and having an eight-hour eating window in between. An example of this diet would be when you stop eating in the afternoon and wait 16 hours to eat again the next morning. Typical 8 hour eating windows would be from 10 a.m. to 6 p.m., or 11 a.m. to 7 p.m.
Eat-Stop-Eat method: A variation that consists of a full 24-hour fast at least once or twice a week. The fast can be started at any time of the day; it doesn’t matter if you start your fast at 6 a.m. or 6 p.m.! 5:2 method: This newer method of IF is similar to Eat-Stop-Eat. The difference is that for 5 days of the week you are allowed to eat normally, but for 2 non-consecutive days, you would only be able to consume 500 to 600 total calories. There are a few different things that occur within the body when a person fasts. Fasting can reduce the levels of fasting blood sugar, insulin, and insulin resistance, suggesting an improved hepatic insulin sensitivity level. High levels of fasting blood sugar can be a sign of prediabetes, or diabetes. High levels of insulin can also be associated with abnormalities in cholesterol, obesity, etc. Additionally, changes in genes can occur, which can improve longevity and protection against disease. Lastly, when a person fasts, this can initiate the cellular repair response. This happens when waste is broken down by the cells and removed. When you are fasting there are periods where no energy is being provided from food. Therefore, the energy that is being stored within the cells is finally broken down and used for energy. Depending on the person, there are different reasons for IF. The most common reasons include weight loss, and lifestyle and health improvement. Here's an example of how it works with weight loss: Because you are eating fewer meals, IF causes the person to eat less. This decreases your intake of calories, and therefore can lead to decrease in weight as well. There are risks that come with IF, and it is important to be aware of these risks if you are planning on trying this method. People who participate in IF can be at risk for developing an eating disorder. They can become obsessed with food, or be at risk for food intolerance and inflammation. There is also a risk if you are on blood-sugar-lowering medications, such as insulin. Be sure to discuss this with your physician before making dietary changes to prevent unwanted medication side effects. There is insufficient data to be able to suggest the optimal length of fasting, and the number of days per week to fast. Some of the health benefits of IF include reductions in weight loss, insulin resistance (lowering blood sugar), inflammation markers, LDL. It may also aid in the growth of new nerve cells. One study states that it has been shown to reduce total plasma cholesterol and triglyceride concentrations, improve fatty liver and reduce inflammation. It may also have beneficial effects on cancer risk factors such as cell proliferation. However, it is important to remember that every person is different, and each person may not experience these benefits. IF is not ideal for everyone, and there are many other lifestyle strategies that can lead to better health. One specific diet plan may not meet the needs for everyone who hears about it. However, if you find interest in these benefits, consider reaching out to a local dietitian to further understand the research on IF. Article written by Emily Fox and Samuel Yarrow. Emily and Sam are first-year graduate students in the Cox College Nutrition Diagnostics master's program.